It’s not often that I visit Boulder—the town 50 miles south of Fort Collins that first exposed me to the wondrous Coloradoan lifestyle—but of course I was going to visit my Spanish teacher while she was there. After all it’s far closer than Boquete, as much as I love that town surrounded by mountains in Panama. We ended up hanging out for five fun hours. We first chatted inside a fireplace-warmed Starbucks at the Pearl Street Mall while gazing out the window at the newly dusted snow. 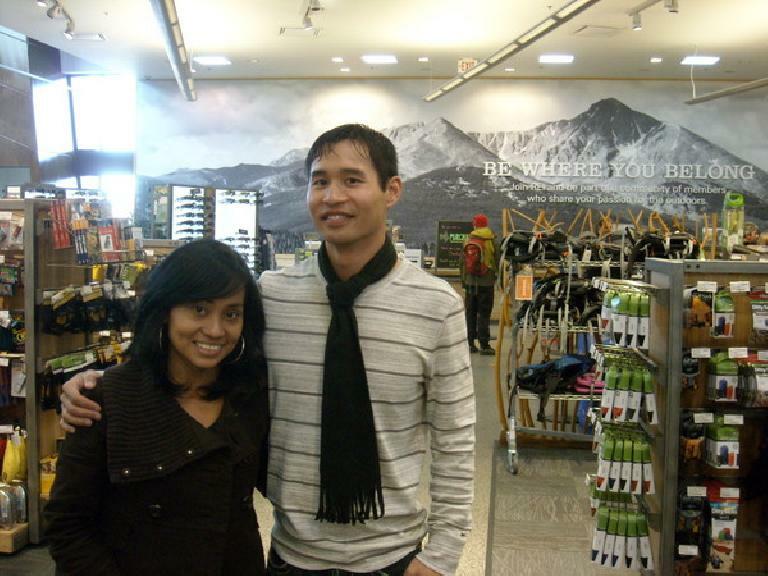 After a couple hours, we went to a nearby REI to look for some rock climbing shoes that Janeth wanted to bring back for her husband Yoriah in Panama. As it turned out, Yoriah and I had identically sized feet, so I got to be the surrogate foot model. Ultimately, we settled on some Mad Rocks shoes. 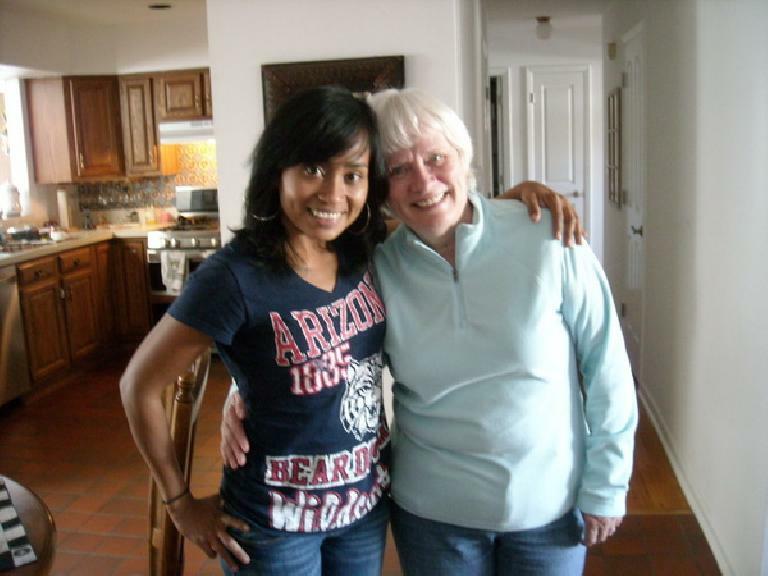 Lastly, we went to visit Janeth’s friend Dorothy, who was Janeth’s hostess in Boulder. 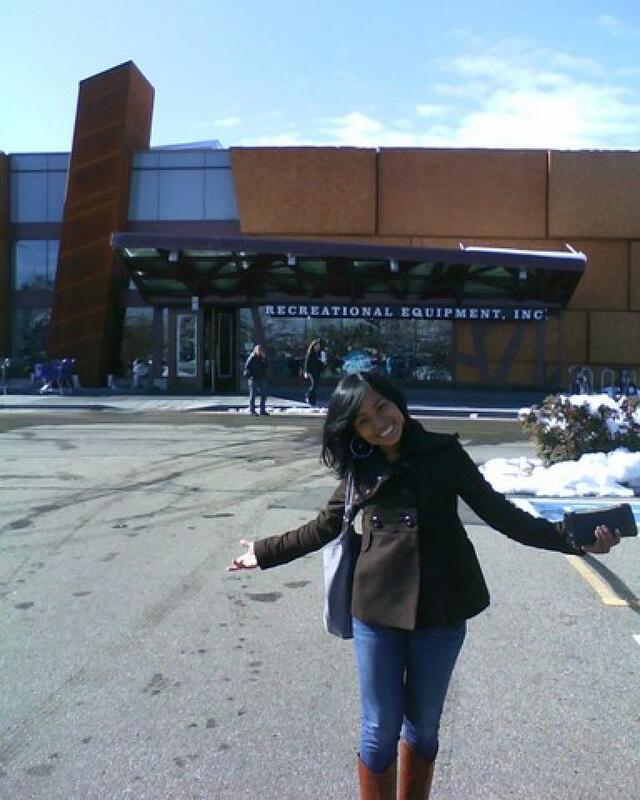 Dorothy and her husband had worked in the Peace Corps in Panama, which is how she met Janeth. Over some wonderful homemade chili that Janeth cooked up, we talked in English for the first time. In fact, we had been speaking exclusively in Spanish for the prior 3-4 hours. And then it dawned on me just how far my Spanish had come along since first meeting Janeth almost five years ago in the picturesque mountain time in la tierra de primavera eternal (land of the eternal spring), in which I could understand only about 40% of whatever she would say in español and could exhale about the same percentage of my thoughts out of my mouth. I’m not gifted at learning languages at all, but it does show that even the most tongue-tied can become reasonably adept at a second language with regular practice. In my case, Spanish “rehearsal” came through regular attendance of weekly Spanish conversation meetings in addition to trips to Oaxaca, Guatemala, and Costa Rica. And the occasional visit by a Spanish-speaking friend, of course. Now if I only had more French-speaking friends to practice with.